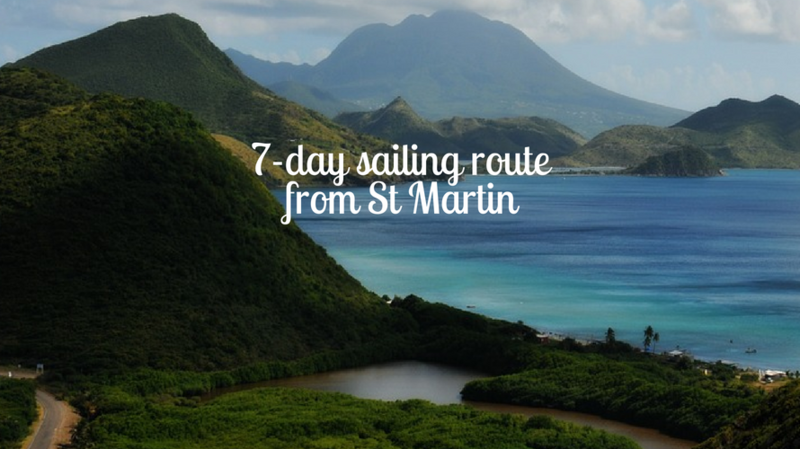 Take advantage of the line-to-sight sailing in Saint Martin and the Leeward Islands. This means that you have the option to embark on long days of sailing, or simply relaxing short hops. No matter what, it is great to sail from one mesmerising bay to another. These routes were inspired by the privilege of being able to do both, and therefore there is a mix of journey lengths incorporated into the route. There are also many breathtaking beaches and villages, with excellent cuisine, to explore. This itinerary is aimed at intermediate sailors with lots of family fun activities on the way. If you’re planning to sail with your family, take a look at our tips for a great sailing journey with children. Day 1 of your sailing experience will begin on Marigot Bay. 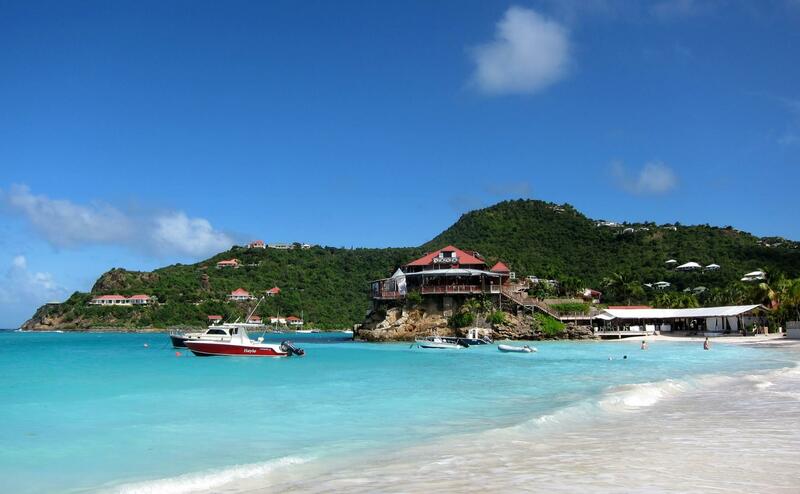 It is located on the western coast, in the French part of St. Martin. Here you can experience the historical charm that this mesmerising island has to offer. Marigot Bay turned into the capital of Saint Martin when Louis XVI was the king of France (1774 – 1793). If you get chance before embarking on your voyage, one of the landmarks worth visiting, is the old Fort Louis. Down by the harbour, you will find many luxurious shops for you to take a sneaky peak in before heading to your charter boat. 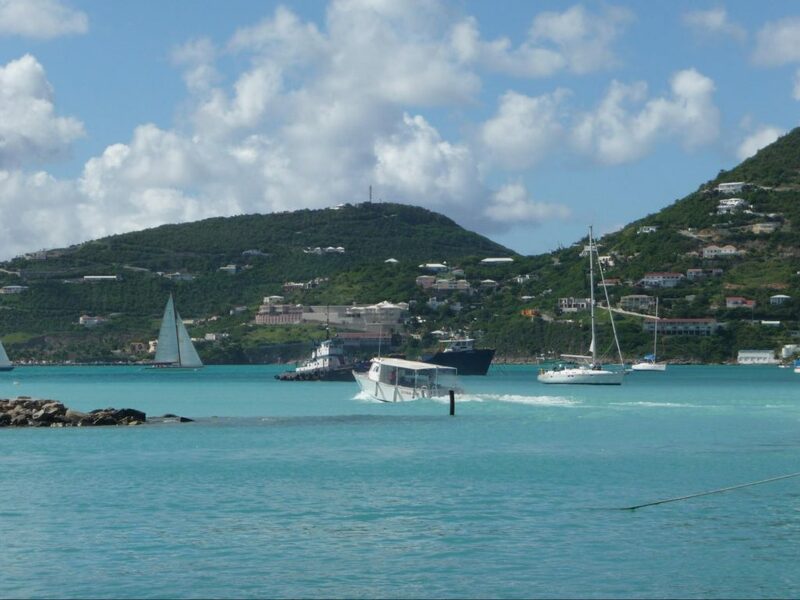 You can collect your Nautal charter boat from Marina Fort Louis, which is situated in the Marigot Bay. There are many facilities here, such as water, fuel, showers, laundry facilities, internet, and banking services. So make sure you stock up on anything you might need before setting sail. After a few hours of preparation and getting to know your boat, it’s time leave this beautiful marina and sail just a short distance. 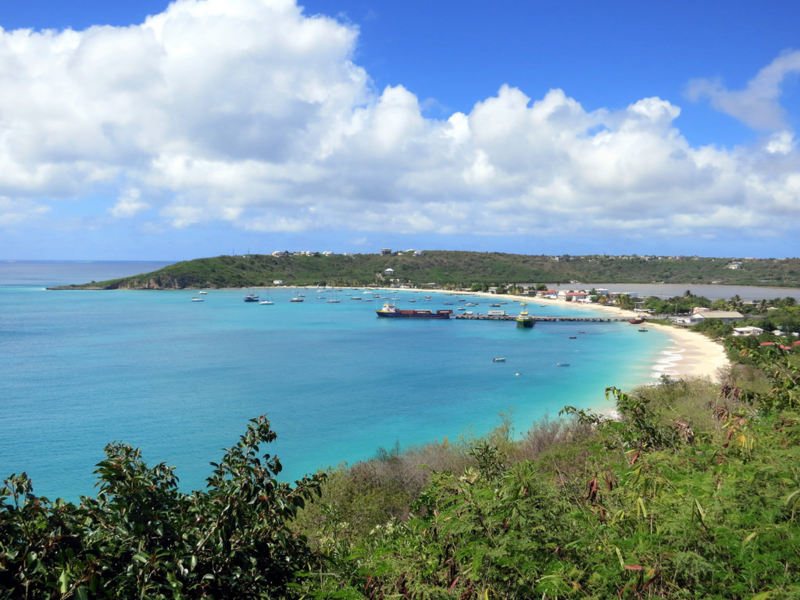 Leaving St. Martin in your wake, your course will take you westward to the south end of Anguilla to the even more impressive destination of Road Bay. On your way, try and seize the opportunity to anchor by the beach at Grande Case. Here you can swim or laze on the foredeck and absorb the magnificent views of the Pic Paradis Mountain in the distance. Arrive in Road Bay in the late afternoon and take in the unspoiled Caribbean in its element. Drop your anchor here in the main port and check in with customs before moving to your anchorage for the evening in Stoney Bay, Marine Park. These moorings are available as part of a cruising permit fee, and are provided on a first come, first served principle. In the bay, there is a dinghy dockage and plenty of space for anchorage. As the evening rolls in and you hear those rumbling tummies, you’ll be happy to know that you can take your dinghy and easily access the shoreline. Here you will find countless beach bars and restaurants. Head to Veya Restaurant and tickle your taste buds with authentic Caribbean dishes and a variety of seafood. Whilst enjoying this fantastic cuisine, you will also have the opportunity to enjoy the live music played here each evening. Day 2 of your sailing experience is something to be excited about. First, we highly recommend that you spend your morning enjoying what Road Bay has to offer. Road Bay is one of our favourite anchorages in the Leeward Islands, as like the rest of the island, it’s laidback and unpretentious which suits us here at Nautal down to the ground. If diving is your thing then we definitely recommend that you spend a little extra time here. Don’t miss the popular diving spot there, with seven un-deliberately sunken wrecks and every type of tropical fish imaginable. You can also commerce yourself in other watersports such as snorkelling, windsurfing and jet-skiing. Grab some lunch at Johnno’s bar where you can take your dinghy to the Prickly Pair! Johnno’s Beachfront Restaurant is the perfect place to combine all of the things that are wonderful about the island: the beach, the people and the food. So make the most of this lively atmosphere and enjoy the great food, music, cold drinks and good times. Next, it’s time to set sail south to the westernmost tip of St. Barths, to the wonderful Anse De Colombier. This sail is slightly further than yesterday’s voyage but definitely worth it! Along the way be sure to make a pit stop at the cactus-covered island of Ile Fourche, home to herds of wild mountain goats. As you embark upon the beautiful Anse de Combier, you will notice a horse-shaped bay of shimmering turquoise water. You can moore here free of charge – which is incredible! And it gets better… There is lots of space for anchorage with great holdings. When you arrive at Anse De Colombier be sure to check out the great snorkelling spots. You are guaranteed to see more types of fish here, than ever before. Another tip to take on board is to know that the small islets around Ile de la Pointe are also excellent places for exploring the underwater world. If you’re lucky you may also spot turtles and sea rays. Before dinner, be sure to explore the north side of the beach. Follow the stairs which will guide you to the top of the peak, passing all sorts of pleasantly smelling flowers and cactuses. You will be able to admire the incredible viewpoint over the area, once you arrive at the peak. Rise and shine as it’s an early start for you on day 3 of your sailing trip. Make the most of your final few hours in Anse De Colombier. Indulge in a hearty breakfast and spend a few hours walking to see what you discover for yourself. People who prefer to walk, rather than drive around Anguilla, will love it here, as you can have fun sporting many different activities within a short distance from each other. There are also many scenic walking routes to take advantage of. As they say, no pain no gain! You want them views, you got to work for them. Think of that superb instagram picture. 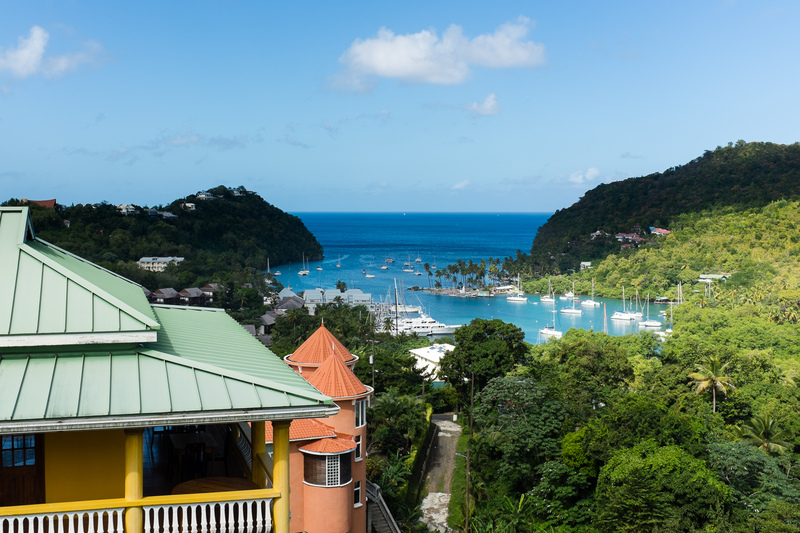 Once you are satisfied with your time here, get ready to set sail to the oh-so-famous, Crocus Bay! When you arrive, moor your boat in Little Bay before finally anchoring your boat in the south of Pelican Point for the evening. It can be hard to leave this Little Bay haven but unfortunately you can only moore here in the day time! Don’t fret, once you have moored your boat for the evening, there is much fun to be had! 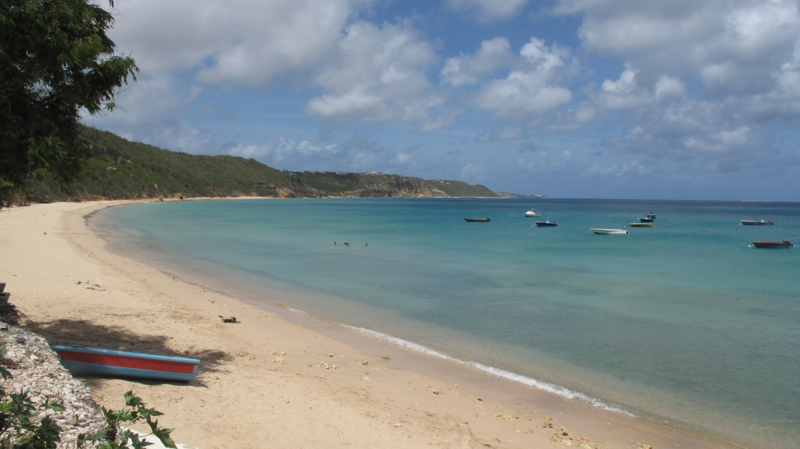 Crocus bay is tranquil, surrounded by hills and cliffs on the south east coastline of Anguilla. Its crisp white beach and rocky scenery make it a great bay to spend the day snorkelling and sunbathing. Even though Crocus Bay has a remote feeling, there are still many activities to get involved with. Within walking distance from the beach, there is the Savannah Gallery, the Loblolly Gallery, and the historic site of Warden’s Place, which used to be part of a sugar plantation. Check out Da’Vidas for a scrumptious dinner, and if you’re in the mood, then a fun night full of entertainment. Alternatively, head back to your boat and enjoy a night under the stars listening to the quiet splash of the water and reggae music floating across from a distance over the sea. It’s day 4 of your sailing charter! Today you have a really beautiful sail ahead of you. You should arrive in Orient Bay sometime in the afternoon. Here you have the luxury of having two good anchorages in this area. They don’t usually fill up too fast, but it might be an idea to call ahead to check which one is best. Both of them have dinghy dockage. 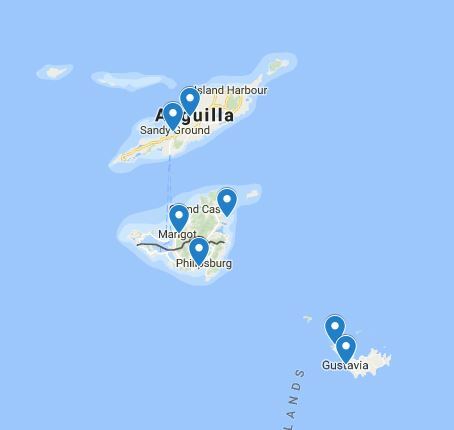 The quiet area is just west of Ile Pinel, where it’s much busier at Green Cay, which is located south west of Ile Pinel. Orient Bay has something to offer for everyone. Here you will find coral and amazing sea-life, including turtles, eagle rays and barracudas, as well as dramatic underwater structures and wrecks. If you are up for diving, you can sign up at the PADI-accredited dive school in the bay. Moreover, you can hire jet skis and there is a full range of other water sports available such as kitesurfing and kayaking. In addition to this, there is an abundance of exotic restaurants with amazing food. Visiting Chez Leandra’s for a garlic conch stew is a particular favourite of ours. Are you up for a night of dancing? Orient Bay is full of great bars and clubs. If the bustle in the bay is getting a bit much, a calm evening aboard your yacht with this stunning backdrop, is an attraction in itself. Day 5 is going to be full of adventure! Today you will once again be leaving St Martin, but to visit a brand new exciting place, Gustavia. 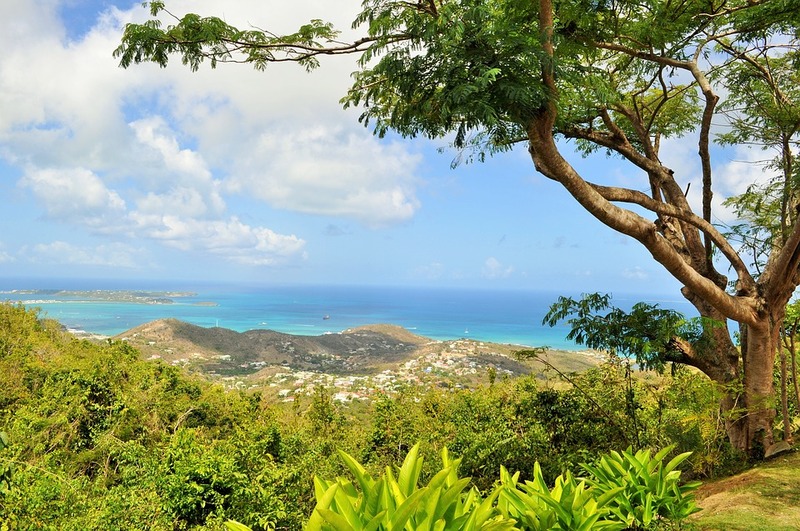 Once you’re off Orient Bay, you will head southward from St. Martin to one of the prettiest locales in the northern Leewards. On the way, stop for lunch and some snorkeling at the privately owned Ile Fourchue, a small, hilly isle off the coast of St. Barths. The picturesque, chic and sophisticated port of Gustavia is the major harbor of entry. You can already sport the snug port from afar, due to the eye-catching red-roofed buildings. Spend some time hanging out aboard your deck and try not to drool as you stare in wonder at the amazing mega yachts. There are also many exclusive boutiques belonging to the most prestigious fashion designers, art collections and jewellers. There are moorings in the port with plenty of space for anchorage. Additionally, there are many facilities available such as water, ice, garbage disposal, provisions and internet access. You can clearly see why this part of St. Barth is often compared to the French Côte d’Azur. There are plenty of top-notch restaurants with delicious French cuisine. But don’t worry – there are many casual options too. Spend your evening taking a stroll through the narrow streets of Gustavia, and choose something suited to you and your crew. Rise and shine as it’s an early start for you on day 6 of your sailing trip. Have a quick breakfast then set sail back to St Maarten, where you will head to Philipsburg, the Dutch capital of the city. Here you can again take advantage of the line-to-sight sailing. To make the journey longer you can stop of for some great snorkelling experiences. When you arrive in Great Bay, there is a selection of marinas for you to dock. Philipsburg, being the capital of the Dutch St. Maarten, is a bustling place with all the facilities a sailor could possibly ask for. If your journey is just beginning this is great place to recharge your batteries and fill up on any necessities you may need. If your sailing experience is only just for a few days then this is definitely a great one to tick off your list. You should arrive at Philipsburg around lunch time. As mentioned, there is a selection of marinas here. Call ahead and check where would be best to anchor. Once you are on land be sure to head into town and commerce in the many activities there is to choose from. Philipsburg is renowned for being a melting pot of rich cultures and old world charm. Philipsburg offers the tax free status, so make sure you hit the shops along the waterside for some real bargains! As you shopaholics know, it can be tiring work. To fuel yourselves back up, head over to Ocean Lounge to grab some food and maybe a few cheeky cocktails. Spend the evening exploring the multiple casinos, clubs and other nightlife venues. If you prefer to have a chilled evening and watch the world go by then you are truly spoilt for choice by tranquil bars and fine wines. If you are planning on sailing for a different amount of days, have a look at our itineraries for sailing charters of 4 days and 10 days. 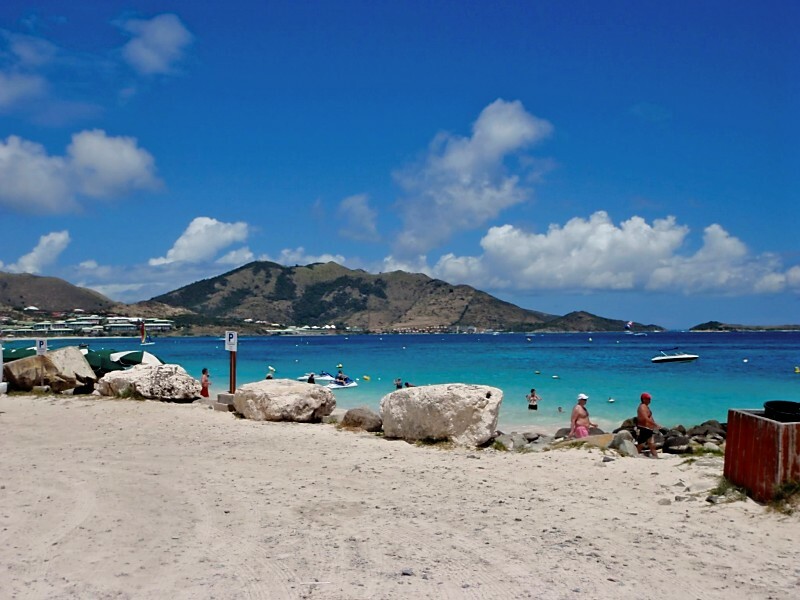 Have you already been to St Martin? Tell us about your sailing itinerary and your must-see places!